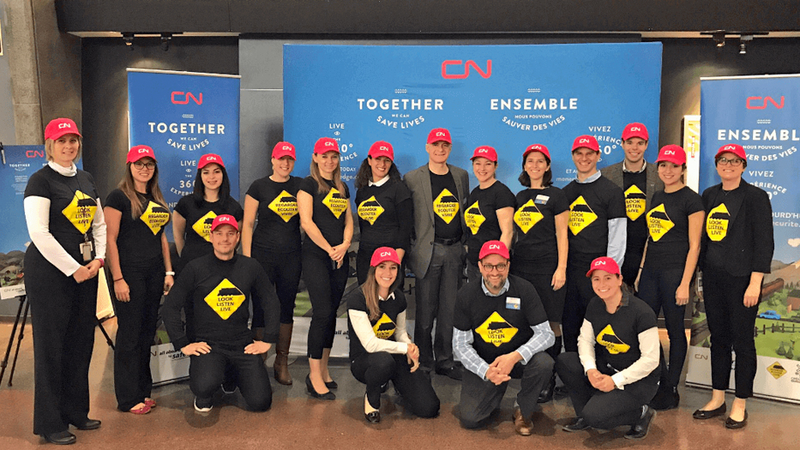 CN looked to Cinco for a strong and visionary partner to embark on its journey to be the safest railway in North America. 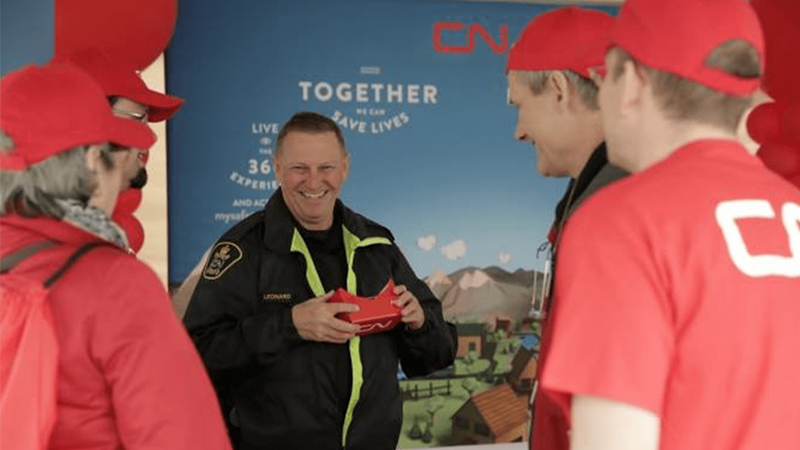 Cinco responded by creating an experiential marketing platform to educate, inform and engage CN’s stakeholders and communities in Canada and the U.S. on a whole new level. 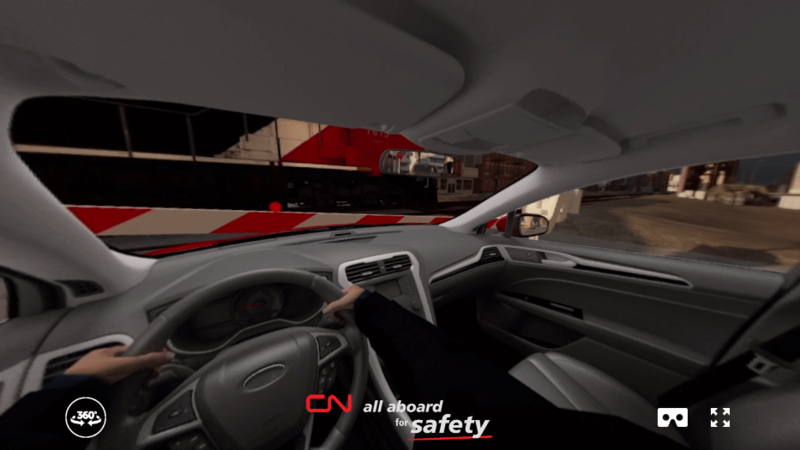 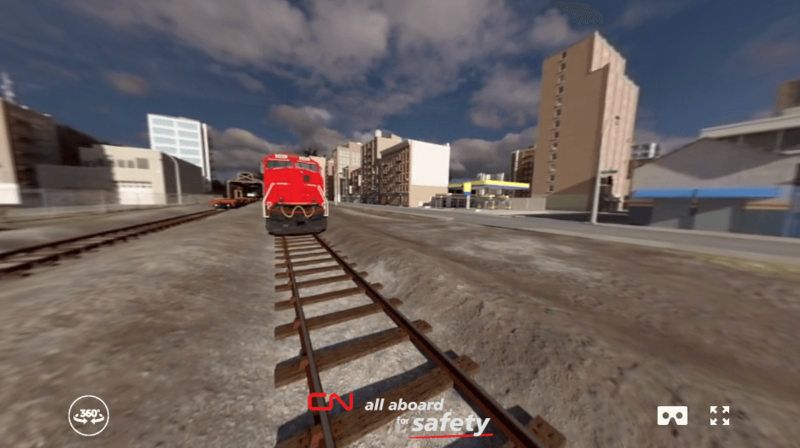 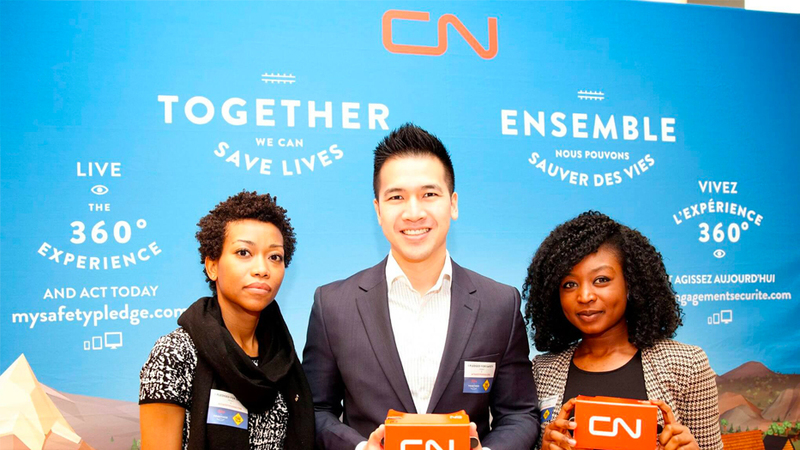 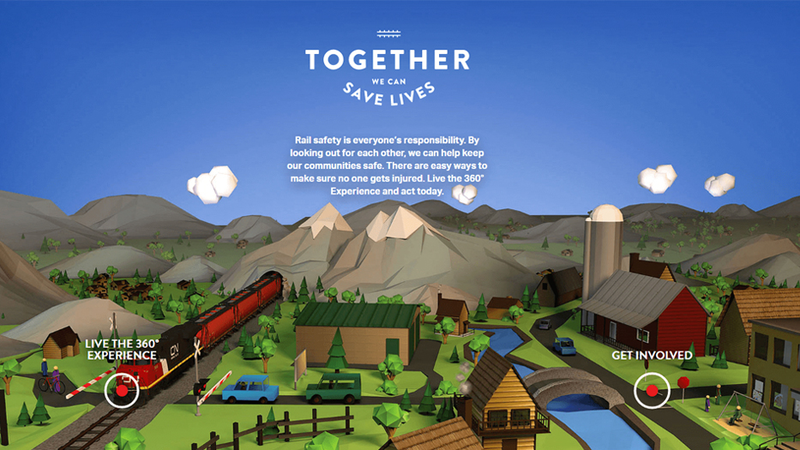 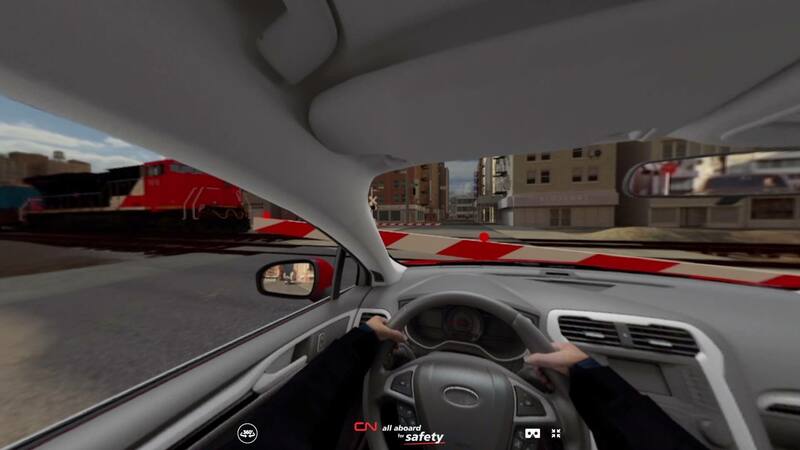 Our in-house digital team created the first of its kind virtual reality experiences involving a CN train in dangerous and fatal incidences, something that occurs routinely in the real world. 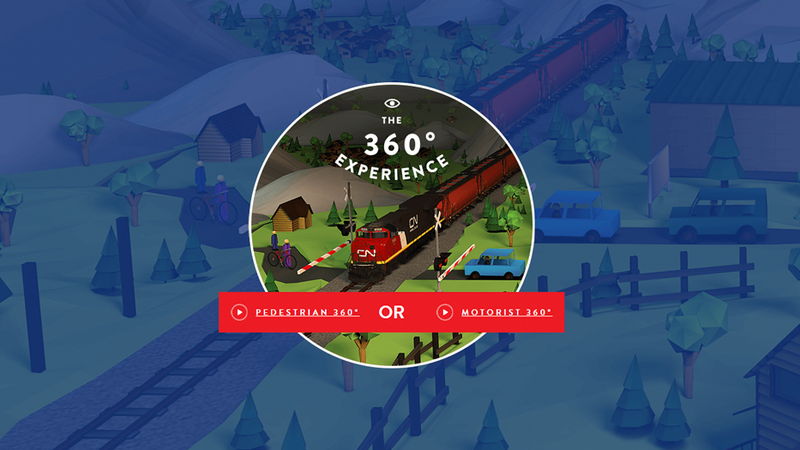 The experiences were meant to recreate the situations in such a way that would shock and provoke realization. 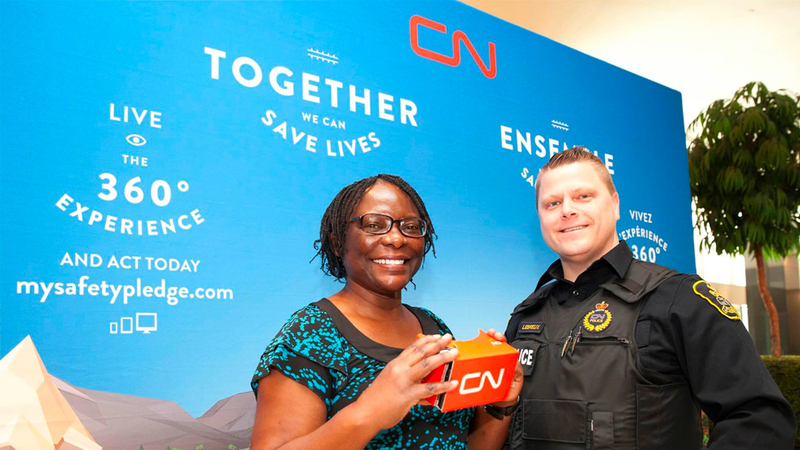 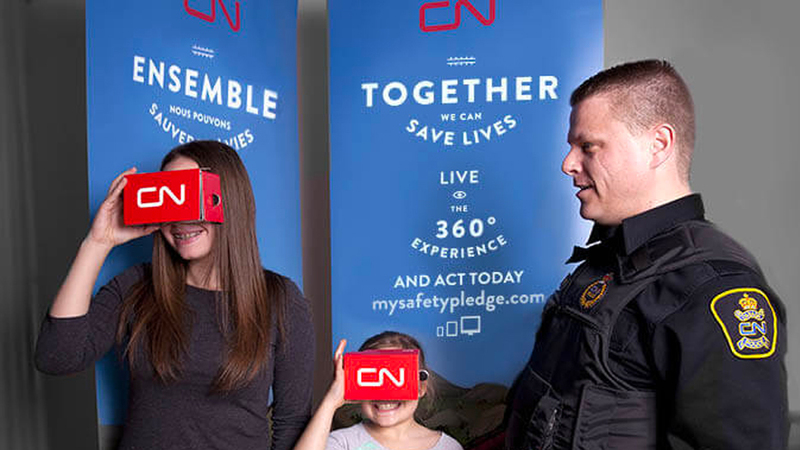 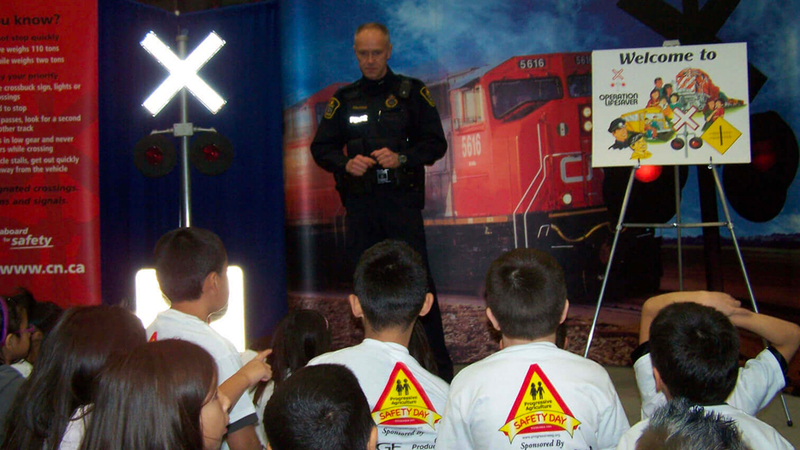 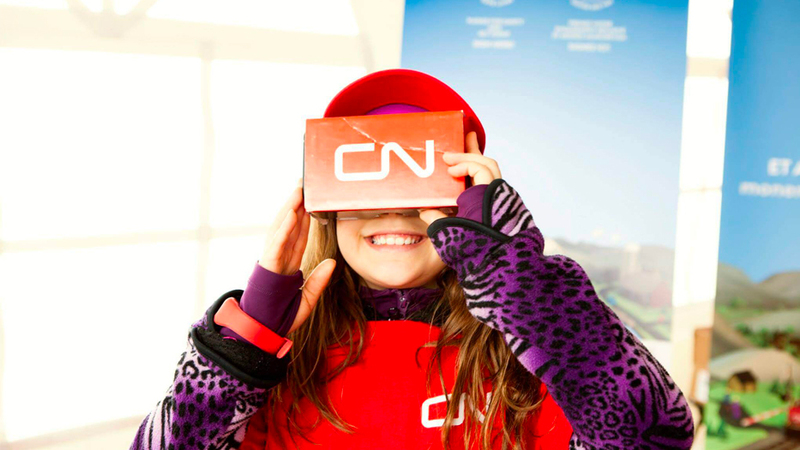 CN independently adapted the technology via cardboard VR goggles, and provided demos at its North American tour during CN Rail Safety Week.